← Is there someone you believe in? A lone orange tree, in the midst of a vast apple grove, was so impressed by the beauty and popularity of his surrounding neighbors; he yearned to be just like them. With great unhappiness, he looked upon his dimpled, tough exterior and then gazed longingly at the apples’ smooth, shiny red skins. “Surely”, he thought, “they are more palatable and easier to eat than my fruit which has to first be peeled before anyone can even bite into it!” So in an effort to become like them, when the wind would blow, he’d lean his limbs towards the branches of the nearby apple trees, rubbing up against them, hoping a transfer would take place that could change him … but nothing happened. So he pressed his roots further and further out towards the roots of his neighbors, thinking if he could intertwine with theirs, perhaps that would be the thing that would change him … but an orange tree he remained. One day he saw a man walking past him carrying a ladder and a bucket of red paint. “Excuse me, sir,” the orange tree said. “Where are you going with that paint and for what purpose?” The man replied “Goin’ up yonder to paint that barn on the hill. Why do you ask?” The tree, with much excitement, told the man of his desire to be like all the other trees around him and asked “Would you be so kind as to bless me with a little of your time and materials, and cover my oranges with that brilliant red paint you are carrying?” The man, feeling sorry for the tree and wanting to be of help, agreed to do so and climbed upon his ladder to begin the painting process. After several hours, every orange on the tree was totally covered in red paint. “Thank you, sir,” the orange tree gratefully cried. “You have satisfied the desires of my heart and now I am completely content and gratified.” The man smiled, nodded, and went on his way. Many weeks later a group of children were walking through the apple groves, looking for the orange tree they had heard resided there. Because their town was surrounded by only apple groves and all of the orange groves were hundreds of miles away, oranges were very difficult and expensive to come by. 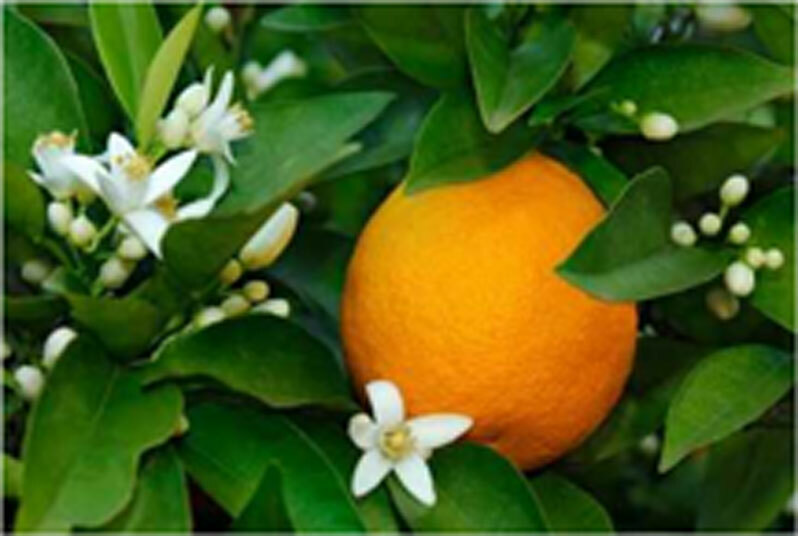 Though the children were looking forward to the unique and wonderful taste of a juicy orange, their primary purpose was to help a little boy who had accompanied them in their search for the orange tree. For months, their beloved little friend had been battling scurvy, and as he struggled to walk upon weakened, bowed legs, his friends led him carefully along, filled with hope that a fresh source of vitamin C would bring healing to his body. With eagerness, they came to the place where they had been told the tree was located, but to their dismay, found only the remains of a withered tree with streaks of red running up its brittle limbs and down its splintered trunk. At the base of the tree lay shrunken circles of dimpled red paint. Hungry, unfulfilled and with their hopes dashed, they held the hand of the sick little boy and made their way back to town. Moral of the Story: Dissatisfaction with our God-given gifts, an unhealthy envy and misplaced longing (exacerbated by the good intentions of unwise “helpers”) can destroy God’s true plan and purpose for our existence, leaving destiny unfulfilled and lives impaired by the lack of spiritual “nourishment” we could have provided.